Gose — the lactic and salty specialty ale associated with the German cities of Goslar and Leipzig — has a chronicled history dating back more than a thousand years. Today, with interest in sour ales soaring, “new-traditionalist” brewers in Germany, the U.S., and beyond are recreating the style — generally with a nod towards a sweeter, more “drinkable” palate, or to a relatively simplified, aggressive lacticity. 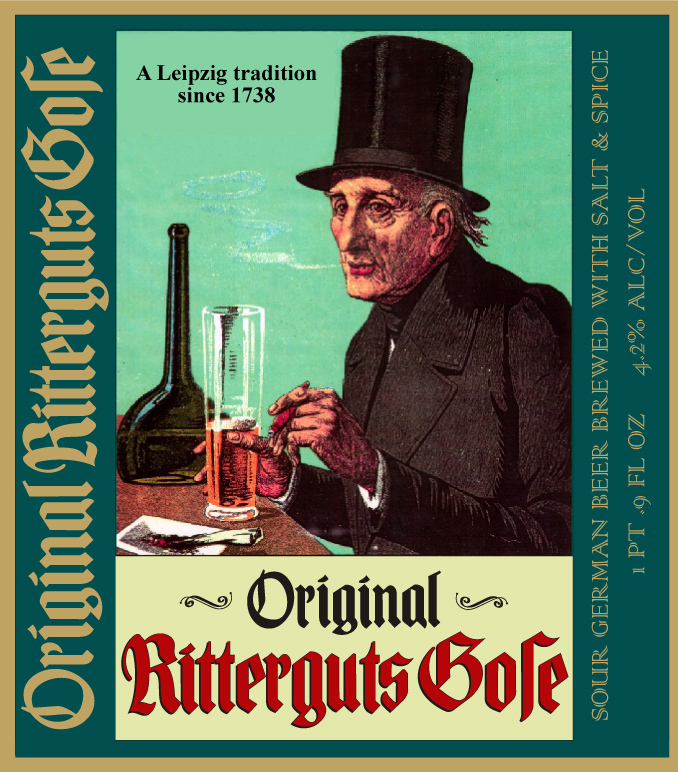 Ritterguts Gose is the real thing, the one example still made to the traditional recipes — boldly sour and funky, but with the elusive old-German qualities of balance and complexity. Once we tried this beer in Leipzig, we were both amazed and delighted that no one was importing it. But we didn’t dwell on that for too long!